How to use UNLOQ to login? You are here: Home / How to use UNLOQ to login? Through the current time, its not safe to use in the internet only one safe password. The mantra is called, never use easy passwords, but to remember all passwords for different services, make it hard to stay productive in different ways. For this before some time got a system developed called Multi-factor or Two-factor Authentication (MFA/2FA). 2FA is a part of MFA and help you to make your accounts safer. It get used by Google, Twitter, Facebook, Lastpass, and other important critical organizations like banks. Our used system is very modern and not a long time on the market, but offer a great and easy way to access your account on a safe way. Here you type in to your normal credentials (username + password) a second password what get generated randomly. For hackers its most easy to get username and password, but without the valid OTP, its not possible to access the account. The OTP is valid for 30 seconds. How I can get UNLOQ? UNLOQ get distributed over the Google Play Store and about the Apple App Store. How I begin using UNLOQ? After you have downloaded the App on your Smartphone, you need register with your Email adress. Here you can create more “Profiles” inside the App, as example, one for business and one for private. So you can register with your AVF mail or with your private email, but use this email, you have used as you have registered on the Academy Website, otherwise your access get denied. After getting an confirmation email in your inbox (if you using your avf mail it can take up to 1h), you click on the link and confirm the registration. 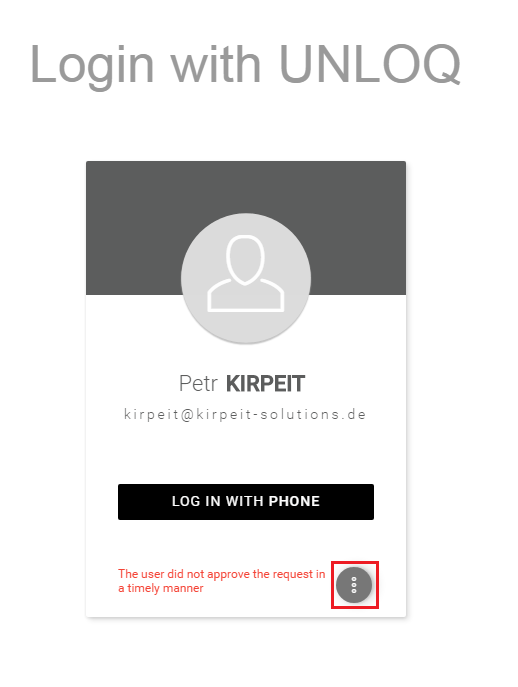 In the App you need to set a 6 digits long Pin, you can see that as a second barrier, if someone should steal your phone and has your access credentials, so he need to break that code too (nearly impossible that this cases can happen 😉 ). Access UNLOQ over OTP, if your mobile phone has no internet connection. It can sometimes happen, that your mobile has no internet connection, may the wifi is broken and you have not a working hotspot or your location is not covered by the mobile internet provider. Both cases are bad, but no worry, with OTP you can still access the website. When you open your UNLOQ App, it ask you for your 6 digit Pin, after that you have access to the OTP generator and you can see how long the key is valid. 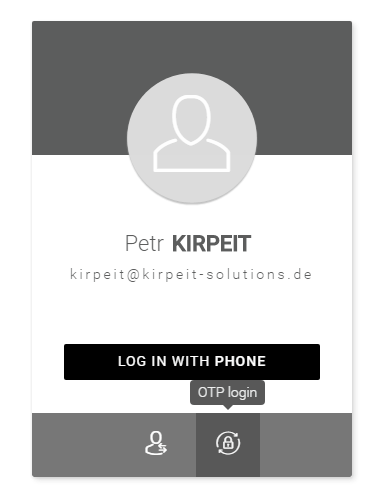 Now you go to the login field and click on the button (see screenshot above), there you see OTP LOGIN, click on it and proceed with “LOGIN WITH OTP”. Than you type in the OTP key from your phone in that field and your logged in. 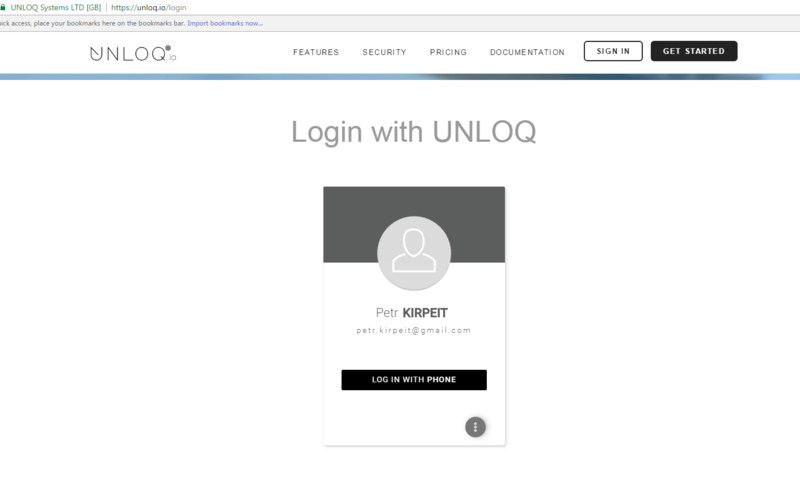 The easier way, if you are connected with your phone to the internet, UNLOQ will contact your phone through the installed UNLOQ App. It will ask you whether you want to approve the access to the website, when you do it, you are logged in immediately.